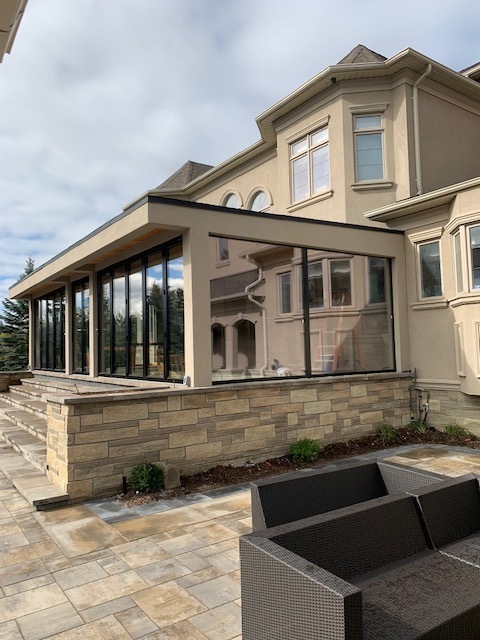 We had a large project consisting of front and backyard landscaping, pool, cabana, outdoor kitchen/BBQ, and a glass enclosed logia (four season room) with heated floors. We chose Land-Con because their pricing was reasonable and fair but mainly because they answered all our questions without being condescending (which I found some other companies were). The project took longer than expected but was because we couldn't proceed on certain things without getting the permits first (City's delay not Land-Con). We made a few changes to our original design and had great ideas and input from both Jeremy and Taylor. The whole team was very nice and accommodating and we didn't have any issues with any of them, even though there were a lot of different teams working simultaneously and separately. We had a few surprises when our old deck was removed but everything was resolved fairly easily. Our front yard and back yard both look beautiful and we're very happy with the entire experience. The Landcon team came to assess our backyard, and help us put a vision together. After the meeting they supported the design with a rendering of the space. When the work began they were professional, and stayed on budget and on time while delivering a quality work product. We are thrilled with the final result. Thank you for the great review, it was a pleasure working with you as well. We hope that you get a lot of enjoyment out of your new deck. This is the second time Jeremy and Ofer have come through for us. 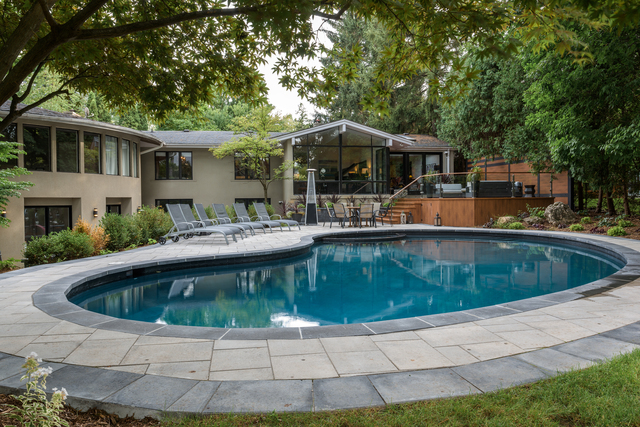 They installed a 1,200 sqft patio/pool surround in our backyard, transforming it from what we used to laughing refer to as a nuclear cooling pond into Shangri-La. This project was actually a couple of years in the making as we dithered about design and what to do with such a large area. Taylor was really patient with us and re-worked the design a few times to our needs. When the time came to build it, the crew was every bit as great as the first one that did our massive retaining wall, driveway and front stairs. The level of quality was for sure there and when we had to have a subterranean issue with the pool pipes addressed, the person that came to do it was impressed at how deep the actual work went below grade. Land-Con coordinated seamlessly with our sprinkler team, helping them make any adjustments or additions that were needed. They even installed conduit channels under everything so we could add a firepit and connect our BBQ with no visible lines. Another awesome job by Land-Con! I will get some photos up soon!!! Wow, thanks for the great review! We have certainly done a lot of work at your house over the years. Were always glad to work with you when you call for some more renovations! Our 80s back yard was in serious need of an update, and full reno, including pool. We got three quotes, Land-Con was one. In fact, Land-Con was the only one to break out the quote in detail, and provide a full 3D plan of what we had discussed. We met with Taylor and Ofer, and couldn't have been happier - honest, trust worth guys who Love what they do. Part way through, we had a couple of changes and add ons, and Ofer and Taylor kept the whole process smooth and seamless. I added a front address sign that i had seen in a photo, Taylor made it happen just based on my vague description - and even better than the photo. Fantastic service, we love the end result, and can't wait for Spring Summer to enjoy our new Back yard! That's great to hear that you are so happy with our service. If there is anything you need in the future... we are just a phone call away. Thanks again and enjoy your new landscape!!! In August 2017, Landcon demolished and rebuilt six flower box retaining walls in the front and side of my home. First the positives: their price was mid-range reasonable, they found an earlier more convenient start date for me, they finished on schedule in three weeks, and owners Ofer and Jeremy seemed knowledgeable and professional. I also appreciated Taylor's computerized planting diagram. The negatives: I believe I chanced upon a subpar work crew. The foreman was grumpy every day, and the workers did not seem careful or invested in the job. An overly large amount of mortar had to be used to make the bricks level and the walls are not completely straight. Only when I pointed out a shortage of a material called geogrid as a worker was bricking over it, was more geogrid ordered and applied. The company seems well run and established, so maybe other work crews employed by Landcon will do better work. We appreciate you feedback and we have made any necessary changes to ensure the highest level of client satisfaction possible. I feel we did our best to give you a quality project and walked through the issues you were concerned about giving you a clear understanding regarding the tolerances from manufacturers products. While addressing everyone of your concerns. If there is anything else we can further help with we are always there for you. 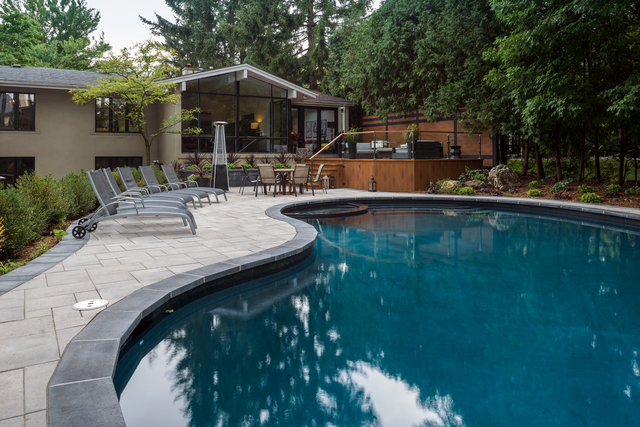 Landcon was a great company to work with as we had a lot of elements in our complete remodel of our front and backyard which included remodelling an existing in-ground pool, and adding a sunken hot tub to the design. They have a great 3D design program that allows the owner to really see the perspectives of the proposed work, and make changes to the design on the fly to be able to see the changes in proportion to your home and overall property. What I liked best about Landcon was the flexibility during the project with respect to making changes and them offering us multiple solutions and including new drawings to be able to see what the solutions could look like. 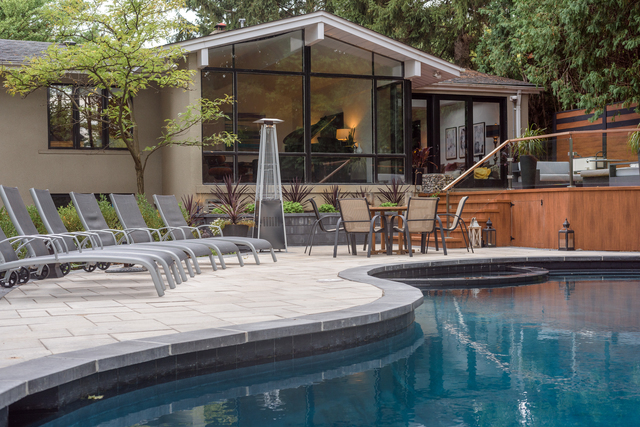 A big selling piece was the fact that they managed the entire process and sub contractors (Carpentry, Electrical, Pool company) which was extremely helpful for a project this size. I would instantly recommend Landcon to anyone looking to have smaller or larger scale Landscape work done. Wow, what a project! It was a pleasure working with yourself and Laura on this big renovation. We are glad that you were happy with our management team and design work, and we are so happy that the results of the job are top notch. We cant wait to come back this spring to plant all your gardens, and get that Ivy wall in. This project will definitely be magazine worthy! Thanks for a great experience. We had to tear up our front walkway to replace our sewer main. Taylor from Land-con created a design for our front walkway and talked us through what to expect. Once the work staff were on site they were friendly and polite. The team levelled, paved and created a front garden. The job took a week to complete and we are very happy with the result. We are glad to hear that you had a nice experience with us. It was a pleasure working with you and Melissa. Feel free to contact us if anything comes up and we will be happy to assist with you! Quality craftsmanship, professionalism and great customer care sums up my experience with Land-Con who was contracted to do a walkway, front porch, a couple sitting walls and some landscaping in my front yard. Unlike other contractors who took days and sometimes over a week to respond both Taylor (designer) and Ofer (partner) always responded no matter what time or day it was. 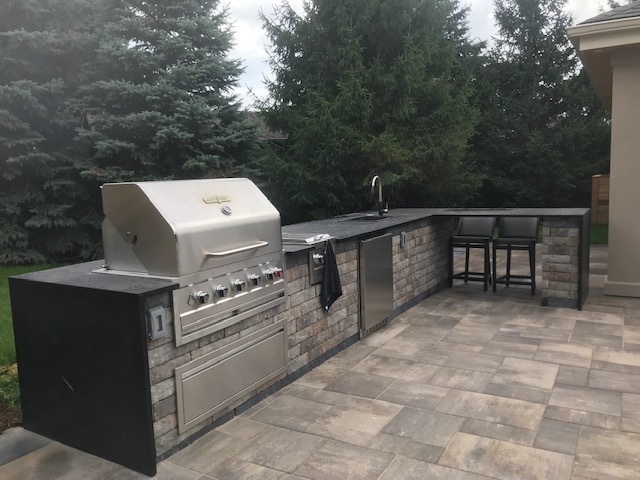 Taylor was able to capture what we wanted and had great ideas and Ofer is very hands on and he ensured that we were satisfied with the work before he let his crew (TJ and his team were all hard working, pleasant and respectful) go and close off the project. Land-Con did an amazing job and I'd recommend and hire them again for future projects. Thanks for the great review! It was nice working with you, we are always happy to create a nice modern front entrance. Feel free to post some photos on here too if you'd like! Thanks for the feedback with our construction team, too. We will be sure to give them this feedback, as they work very hard to make sure the work looks good. Have a great summer and we hope you enjoy coming home to this nice landscape each day! We hired Land-Con last year to replace the interlock in our backyard and front porch. They completed the project extremely quickly and efficiently and the product looked great. The workers were great. They were knowledgable, courteous and extremely friendly. They even had patience for the kids who kept coming by and asking questions. The biggest surprise actually came this year when some weeds started sprouting in between the interlock. We contacted Land-Con expecting the usual attitude and service you receive from most home contractors. We were pleasantly surprised that none of that occurred. They send someone immediately to resolve the problem and didn't charge us anything for it. We would definitely use Land-Con again for any landscaping or interlock project in the future. Thanks for your review! It was nice working with you last year and we look forward to working with you again one day! 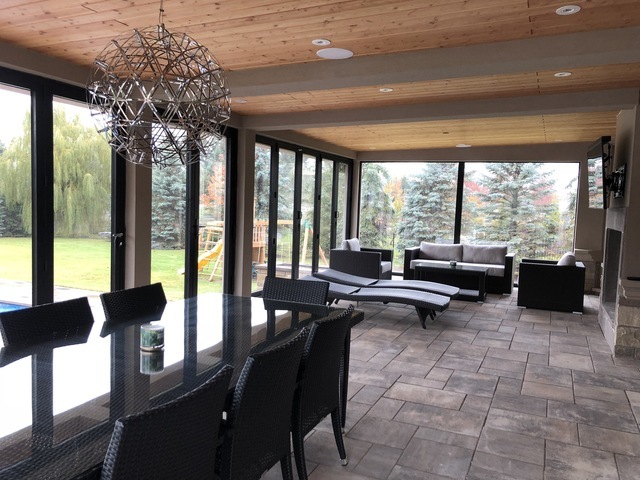 With over twenty years' experience in beautifying properties all over the GTA, Land-Con prides itself on customer satisfaction and customer experience before, during and after the project is completed. We are very honest with our customers, keeping them up to date regularly with the progress of the project. 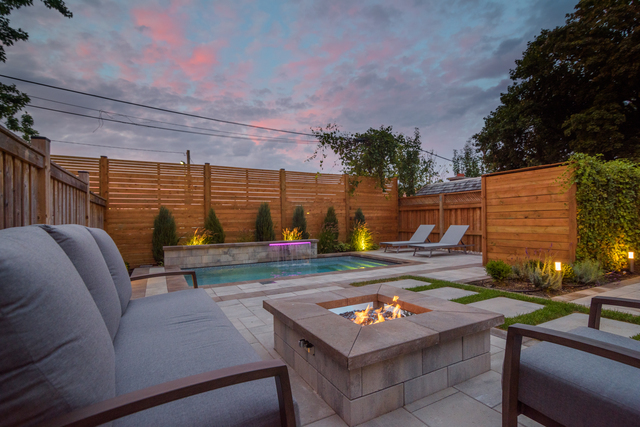 We strive to give our customers the highest quality of work, starting with our very experienced in house landscape designers, as well as extremely professional and respectable trade personal on the job site, with the owners them selves over seeing every single project on a daily basis. We have received industry wide recognition for design and build, professionalism and customer satisfaction. Active Member of Landscape Ontario and Bild. ICPI and NCMA certified. Techno-Bloc Pro installer. 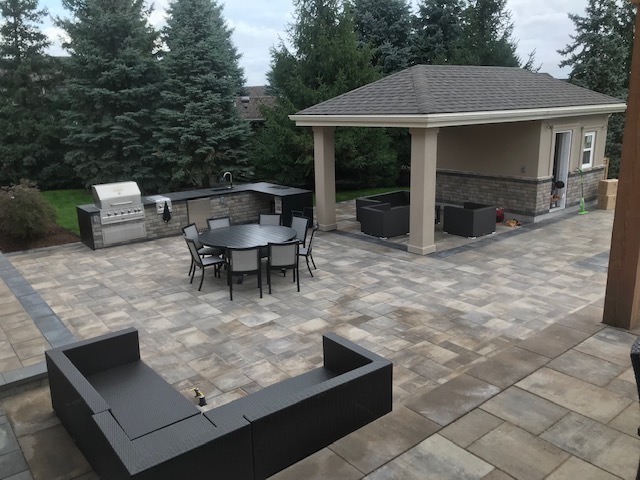 Permacon Pro installer. 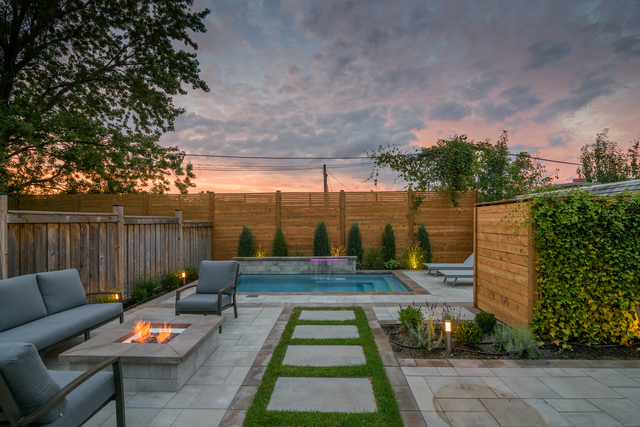 2016 Winner of 2 Landscape Awards of Excellence, 2017 winner of 3 landscape awards of excellence. At Land-Con, our principles, passion and reputation speak for themselves. Our valued clients will agree; excellence in project management, coupled with our highly qualified management and crew are second to none. We build to capture and reflect the unique vision our clients trust us to create while abiding to strict standards and timelines. We value your expectations and opinion and respect the importance of budget guidelines. The job site will always be left cleaned up and tidy and ready for next day construction. We respect your property and will be courteous and considerate of you and your neighbors. At Land-con we believe that after a project is completed the aftercare with our customers is just as important as any part of the project. If at any time after the project is completed, you have any questions or concerns we are here to help. We back our workmanship with a five year extended warranty. This warranty is transferable if you happen to sell your home within the five year period. Our top priority is customer service. We take pride in providing courteous prompt responses to all clients past and current. Growing up together for the past 30 years, Ofer Winkler and Jeremy Lerner have formed a strong friendship which naturally became a great partnership. 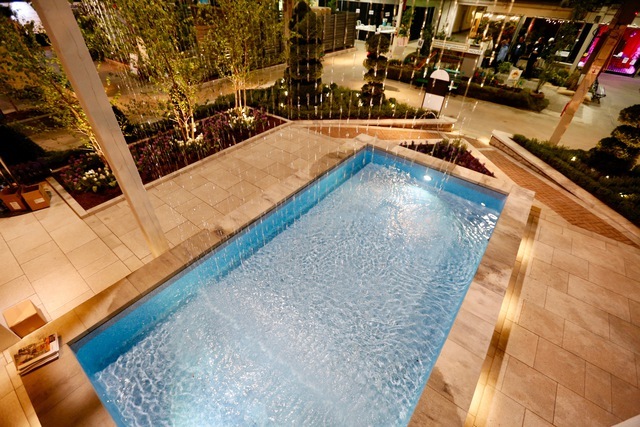 They have both been in the landscape industry since 1997 giving each of them over 20 years experience in this industry. Each one brings to the table their specialized onsite experience, and combined with their in class courses that they have attended over the years, makes them a team like no other. 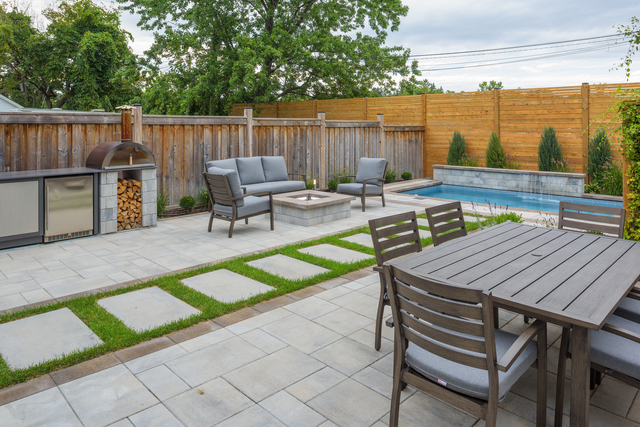 Ofer and Jeremy have a passion for the landscape industry and each project they built over the years, which gives each home owner their own unique experience. Their mission and vision is to give every home owner and project they build the attention and time they deserve. This has made Land-Con a well-respected company by home owners, suppliers and even competitors around the GTA. Together, they are an award winning team that transforms their clients' vision into reality, while providing professional services that meet the budget and time line. 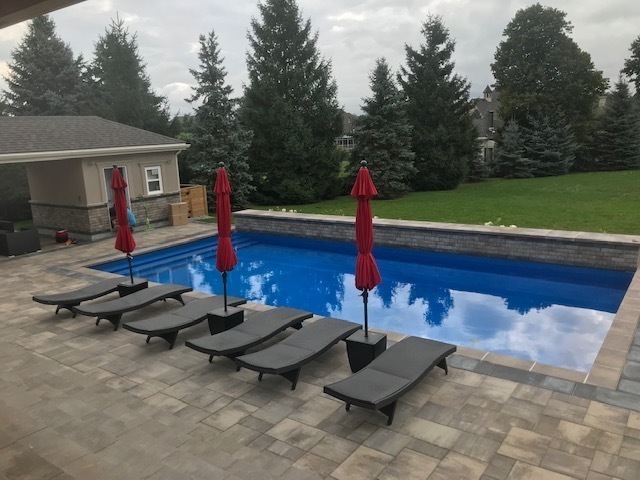 Authorized Contractors for: Permacon, Techo-Bloc, Retaining walls, steps, interlocking, pools & Spas, Lighting and Irrigation, Decks, Pergolas, Cabanas, Planting, Artificial grass, grading, permits, and Architectural drawing. Design, pools & Spas, Retaining walls, steps, interlocking, Lighting and Irrigation, Decks, Pergolas, Cabanas, Planting, Artificial grass, grading, permits, and Architectural drawings.